Good afternoon. My name is Christopher Dillon. I’m an author and an entrepreneur and I’ve lived in Hong Kong for 19 years. During that time, I’ve owned and rented commercial, residential and industrial property, and I’ve been a landlord both here and in Japan. I’ve started and sold businesses and I am now writing my third book, which is about real estate in China. As a result of that experience—and steady increases in prices and rents—I know how scary Hong Kong real estate can be, especially for small businesses and start-ups. Today, I’ll describe the property options for your small business in Hong Kong—from working at home to buying an office—and look at the opportunities and challenges that accompany each option. I’ll wrap up with a comparison of the costs involved and a short case study. Let’s start with the home office, which is a great place to start a business, find out if it’s viable and see if you enjoy being an entrepreneur. If the business is not as strong as you thought, or being an entrepreneur is not for you, a home office is relatively easy and inexpensive to unwind. With a laptop, cloud-based services and WiFi, it’s never been easier to run a business from your home. And working without a conventional office is much more common than it was in the past. According to the Urban Land Institute, 40% of IBM employees now work from a location other than an office at IBM. As long as you’re not making a lot of noise, your landlord and neighbors won’t care about your home office, and you can use your home as your registered businesses address. You can also write-off part of your occupancy expenses, like rent and utilities against your income. Be sure to discuss this with your accountant. But there are downsides. You may be surprised at how much daytime noise there is from people like this gentleman, and from renovating neighbors, roadwork, etc. If you are a social person, you may get lonely. And Hong Kong apartments are small, so hiring staff will mean renting a bigger office. Your home is also a rich source of distractions. A recent survey of American telecommuters cited the top distractions as household chores, TV, pets, errands, the internet and kids. You’ll need discipline to get work done. And, if you are a Type-A personality, you may need discipline to stop working at the end of the day. One tip: Buy a well-built, comfortable chair and set your home office up with proper ergonomics, light and ventilation. This will make a big difference to your comfort and productivity. And check out sites like lifehacker.com for more productivity tips. With a little creativity, you can enhance your experience. For example, one friend skipped the home office stage and ran his IT start-up from the Hong Kong Public Library, which has free air conditioning and WiFi, color photocopiers, comfortable chairs and quiet. Another friend, a commercial artist, swapped desk space at a design firm for freelance work. An editor friend sold her house in Australia and spends her time traveling, running marathons and working remotely. She’s now in New York City, but also works from Istanbul and Kuching. That may be more than you want to do, but it shows what is possible. The attraction to these arrangements is that they are cheap. With luck, you’ll get a great space at a bargain price. But you’ll need time and a good network to find these opportunities. These arrangements also tend to be short term. 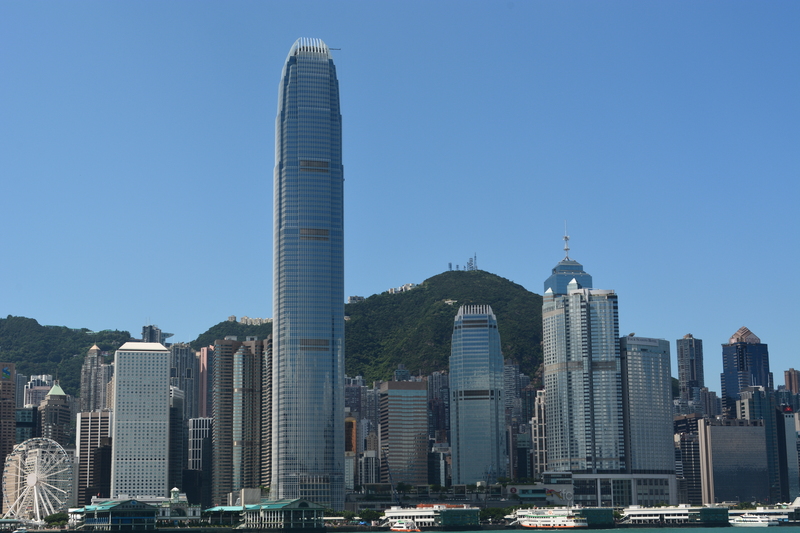 Now lets look at renting a Hong Kong serviced office. In addition to meeting rooms, they offer turnkey packages—which include a receptionist, basic furniture, phone, broadband and mail services—for everything from one person to a company. Some offer videoconferencing and access to offices in different cities and countries. Business incubators like Boot offer a similar service for start-ups. Serviced offices offer flexibility. You can rent them by the hour or by the year, and a long-term commitment is not required. You can increase or decrease the space you rent to meet changing circumstances. Serviced offices range from spartan to luxurious, and save you the cost and trouble of buying furniture and office equipment. But serviced offices are little bit like hotel minibars, in that they sell convenience at a price. If you rent or buy an office, you can get the same space for less money. Think carefully about why you’re using a serviced office. If your goal is to escape distractions at home, you can rent a more modest facility than if you have frequent client meetings. And ensure the work environment fits your needs, whether that’s a quiet space or opportunities to socialize with like-minded entrepreneurs. Security is also important, particularly if you’re developing intellectual property, doing confidential client work or storing expensive equipment. Ask about the office’s security and access-control systems. And if you need to work on weekends or odd hours, ask if 24-hour access is available and whether air conditioning is included. Renting makes sense when you know your company is viable and how much space you’ll need. Renting gives you a sense of permanence and a “real company” feel that you won’t get at home or in a serviced office. But it also adds complications and some costs. Typically, you will pay the landlord the first month’s rent and two months’ deposit when you rent a Hong Kong office. You will also pay half the stamp duty charges, which for a two year lease is 0.5% of the annual rent. And you’ll give the agent half a month’s rent for brokering the deal. Finding a competent real estate agent is essential. The major agencies, such as Centaline, Midland and Ricacorp, as well as smaller, specialist companies like Chartersince have divisions specializing in small offices. Agents concentrate on specific neighborhoods and their competence and language skills vary. Greatly. Personal referrals are a good way to find an agent. And you can help yourself by doing research beforehand, knowing which features are essential and which are optional, and by communicating your needs and priorities to the agent before you start looking. A typical lease is two years long. You may be able to negotiate a break-lease clause, which allows you to give the landlord two months’ notice after one year, for a minimum tenancy of 14 months. Many leases contain a clause that prohibit you from subletting the office, and some include a clause that gives the landlord the right to terminate the lease unilaterally, with notice. This can be a major pain if you have just spent a bundle on renovations. The lease can include or exclude rates, government rent and management fees. Rates are a quarterly property tax. Recently, the government has been waiving rates, so it may be to your advantage to exclude this from the lease. Government rent is a small charge payable for the use of the land under the building. Management fees are a monthly charge that pays for maintenance, security, cleaning and utilities, and common services like lifts and air conditioning for the lobby.The lease shown here can be purchased from stationery stores, is bilingual, and is commonly used by small landlords. It doesn’t contain any nasty surprises, and can be customized with a rider that covers things like a break-lease clause and furniture and fittings that are included in the rental. Hong Kong property is sold and rented on a gross-floor-area basis. Depending on the building, the efficiency ratio, which is the ratio of usable space to gross floor area, can be as high as 90% or as low as 60%. The extra space is taken up by elevator shafts, lobbies and other things. Management fees are based on your gross floor area. Building management also varies. While Grade A buildings, like International Finance Center or Exchange Square, are usually well managed, Grade B and C buildings, where most small businesses live, can be hit and miss. It’s not unusual to find a security guard asleep on a cot in the hallway on weekends or for the building to be closed on Sundays. A word about building grades: Grade A buildings have central air-conditioning, large floor plates, parking, lots of lifts and nice lobbies. Grade B, may have central air-con and parking, and a less glamorous lobby. Grade C doesn’t have parking or central air-conditioning, may only have one lift and a basic lobby. And the location has nothing to do with the grade: There are Grade A buildings, like Nina Tower, in Tseun Wan and Grade C buildings in the back streets of Central. Before you sign anything, check the cleanliness of shared facilities like lobbies, lifts and toilets. Inspect the stairwells and fire escapes, which should be clear of debris. And visit the building outside office hours, to see how its managed and to see what other tenants are doing. You may find yourself sharing a building with private kitchen or unlicensed club. You’ll need to decide whether to rent an office that is fitted, bare shell, or something in between. If it’s bare shell, you can usually negotiate a rent-free period while you are decorating. You may need to install air conditioning, electrical wiring, phone and data lines, carpets, ceilings and window coverings, and internal partitions. Be sure to specify how the office will be returned to the landlord at the end of the lease—you may have to remove your improvements when you leave. Consider the time you’ll need to hire and manage a designer and contractor. Finding a competent builder who has registered under the new Minor Works Control System can be tough, especially when the property market is buoyant. In some buildings, you must use a nominated contractor, who is the only one authorized to work in the building. Avoid this, because nominated contractors are expensive and have few incentives to make you happy. Some renovations need approval from the buildings owners’ committee or the Buildings Department. Don’t cut corners here—the Buildings Department can make you remove unauthorized alterations, even if they are safe. And avoid making changes to fire sprinklers. There are a limited number of contractors who are licensed to do this work, and they charge a lot. In light of the above, a fitted office may be a cheaper, easier solution. In addition to decorations, you’ll need to choose central or individual air conditioning. With central air con, you have cooling during office hours and the ducting and fan coils are usually in place. But, central air conditioning comes with a higher monthly management fee. Central air con is typically available from 8:30 AM to 6:30 PM and 8:30 to 1:30 on Saturday. That can be a pain if you have overseas clients, or if you start early. You can turn on the air conditioning outside office hours, but there’s usually a fee of around HK$300 per hour and a minimum charge. In some buildings, you can install individual split-type air conditioners, which let you cool at will. Determining what size air conditioner to buy is surprisingly complicated. Too small and you’ll burn out the compressor and never be comfortable. Too large and you’re paying more than you need to and the compressor will not be working efficiently, so get professional advice. Compressors for split-type air conditioners are normally mounted on the building’s outside wall, so it’s essential that you hire competent installers and insist on seeing proof of insurance. Falling equipment can result in deaths, property damage, civil lawsuits and criminal charges. Another important choice is between a large, corporate landlord and small one, who is often an individual investor. Both have advantages and disadvantages, and landlords remain as unpopular today as they were in the 1880s. Large landlords are stable and impersonal. They often ask for things that I consider ridiculous: personal guarantees, three months’ deposit, unilateral break-lease clauses, restoration fees, etc. And they will also waste your time dealing with minions who cannot make decisions. Small landlords will often negotiate to avoid a vacancy—especially if you connect with them on a personal level—and can make fast decisions. Your rent means a lot more to a small landlord than it does to a big corporation. So they’ll take it personally if you pay late. Small landlords can quirky. One of my landlords nearly electrocuted herself trying to rewire a light switch. Another installed a shiny black faucet in our pink bathtub. Small landlords are also more likely to sell the office you are renting. If this happens, the new owner assumes the legal responsibilities of the old landlord, and your lease continues as if nothing has changed. The new owner must refund your deposit at the end of the lease. Buying is the final rung on the ladder. It’s a big commitment, but it lets you lock-in your occupancy costs and it insulates you from rent increases and the whims of a landlord. It can also be a good investment. Unlike many places, Hong Kong has a mature, transparent property market. Legal protection is good, you don’t have to speak Chinese or be a resident to buy, and there’s lots of liquidity in the market. Hong Kong has many Grade B and C buildings where you can buy individual offices or whole floors. This is less common in Grade A buildings, which typically have a single owner. Offices can be sold with or without a tenant, and mortgages are freely available. Everything I mentioned earlier about a bare shell versus a fitted office; the need to investigate building management; and central versus individual air conditioning applies to an office purchase. These issues are even more important for buyers. While you have more latitude to renovate, it is harder and more expensive to unwind a purchase if you discover that you don’t like your office. As an owner, you are also liable for the cost of repairs and improvements, so you’ll want to pay close attention to expensive things like lifts, especially in older buildings. If you buy, you’ll pay 1% of the purchase price to the agent as commission. You’ll also pay stamp duty. For an office priced between $4.4 million and $6.0 million, the rate of stamp duty is 3%. And you’ll need to budget for legal fees, which are about $10,000 for a cash purchase. Offices in older buildings generally sell for less than those in newer ones, which are more energy efficient and require less maintenance. Other factors that affect prices include the proximity to Central and the Mass Transit Railway, the quality of the neighborhood and the presence of sea views. You can find asking and actual sales prices from the websites of large real estate agencies. Historical data is also available from the Hong Kong Government’s Land Registry. Here are some recent prices, in Hong Kong dollars, from Hong Kong Island. A home office can have negative cost, if you have empty space and can write-off some of your rent and expenses against your income. A basic, 90-square-foot room in a serviced office starts at $4,000 per month, including phone and internet services and a receptionist. Rents for a 700-square-foot office in a Grade B building in Western start at about $11,000, or around $16 per square foot, plus rates and management fees. You can buy space in the same Grade B building for about $6,500 per square foot, making the cost of a 700-square-foot office about $4.5 million. The monthly management fee for this building is $2.76 per square foot. And you can see the prices for Grade A space are a lot higher. In 2002, I bought and renovated a 1000 square-foot office in a Grade C building in Central. Here is what the office looked like before the rehab. The office had been abandoned by its previous owner. There were no locks on the doors, the windows had been left open and the place was full of rubbish. It was a big project: Over six weeks, we installed a new electrical system, lights, ceiling and carpet, doors and built-in storage. Here is a budget breakdown for the project. Some of the cost differ from the figures that I gave earlier because I bought during a downturn and was able to negotiate discounts. The stamp duty rates have also changed, but this will give you an idea of the costs involved. Finally, If you are thinking of buying, you should remember three things. Hong Kong real estate is volatile—some segments lost two-thirds of their value after the 1997 Asian Financial Crisis. It is sentiment driven and it it is cyclical. Which brings me to the most important part of the presentation, your questions. A video of How to buy or rent a Hong Kong office is available here.